Often on my frequent trips to Costco I purchase the bag of six sweet peppers in multiple colors – usually red, orange, and yellow. 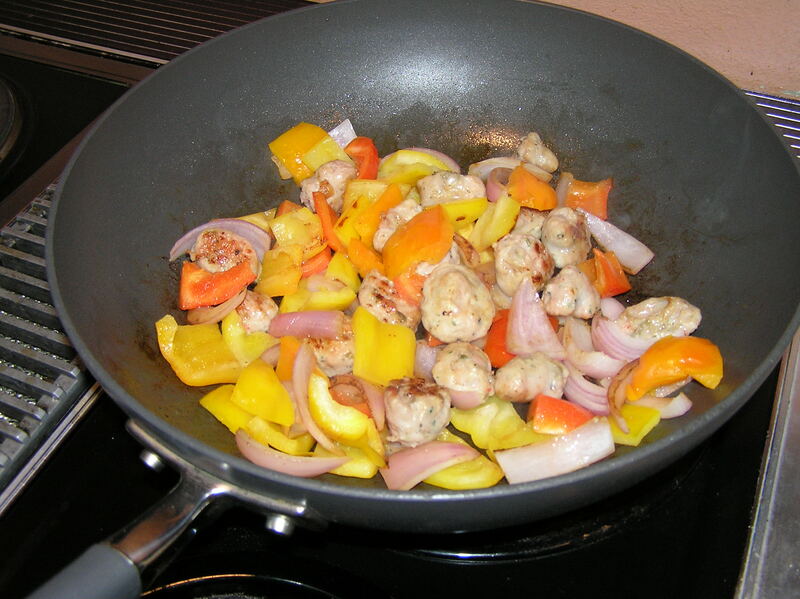 Usually, I cut a couple of the peppers up and sauté them with onions and cut up Italian chicken sausage. This preparation doesn’t even need oil, just a quick spray with cooking spray and the peppers and onions are caramelized as the sausage cooks. And I usually make some non-fat dip so I can take the remaining peppers along for lunch. 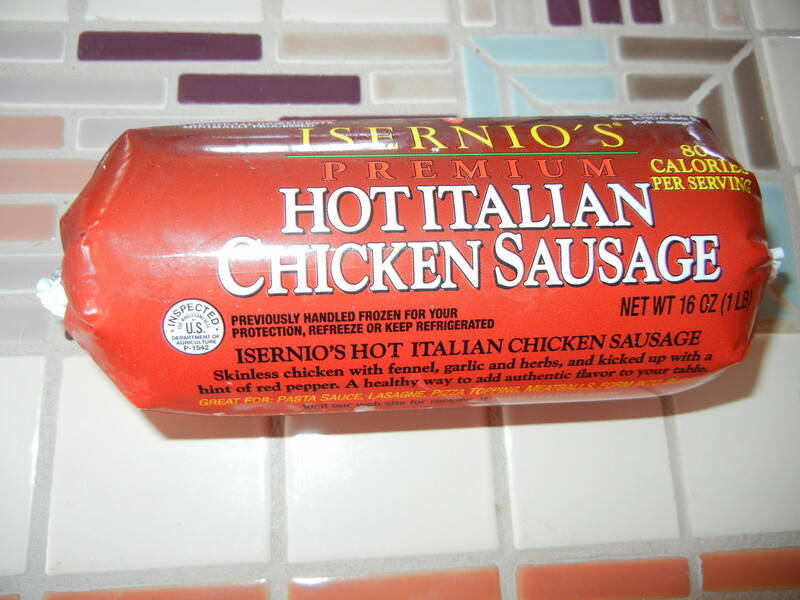 But I had defrosted some chicken tenders – and not defrosted the chicken sausage, so I decided to combine peppers and chicken. The original dish, from Cooking Light, called for using whole chicken breasts, which were to be placed on top of the sautéed peppers. This didn’t seem totally logical to me, so I improvised. 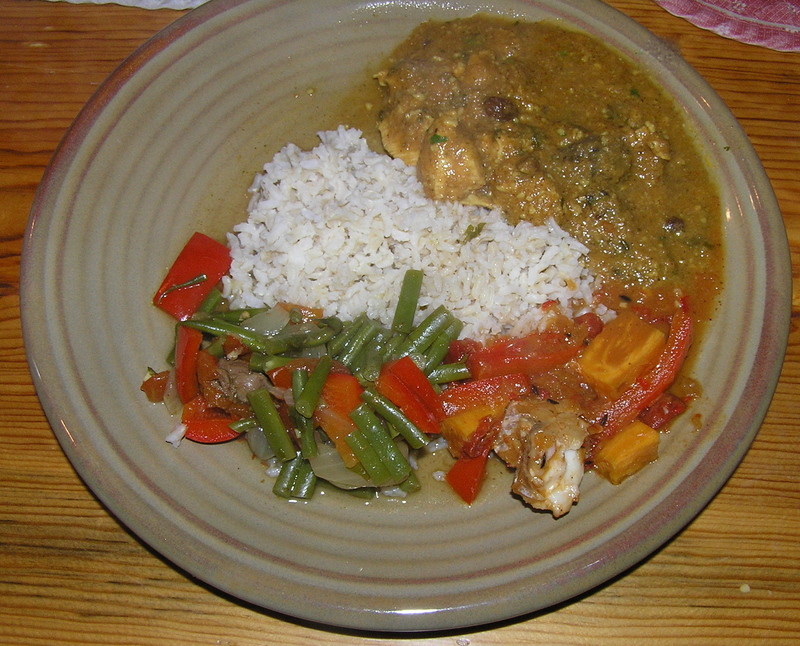 I also mixed the lime juice in with the curry rather than serving lime wedges. Spray a nonstick skillet with cooking spray and heat over medium-high heat. Sprinkle 1 teaspoon of the curry powder, 1/2 teaspoon salt, and 1/2 teaspoon black pepper over the chicken tenders, rubbing it on so that the tenders are evenly covered. Add chicken to pan and cook 10 minutes or until done, stirring occasionally. Remove chicken from pan; keep warm. Add bell peppers and remaining 1/2 teaspoon curry powder to pan; sauté 1 minute. 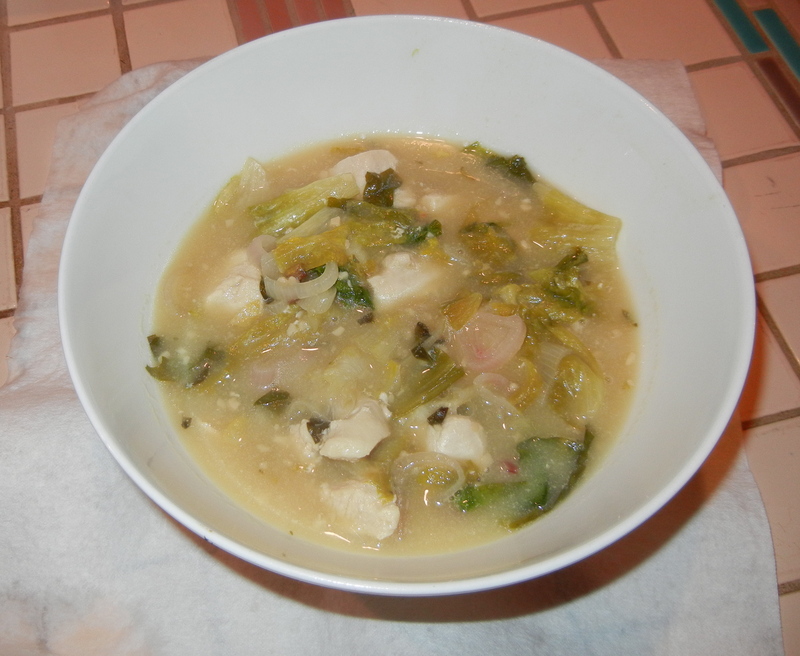 Return chicken to pan and add coconut milk, and bring to a boil; reduce heat, and simmer 4 minutes or until mixture is slightly thickened. Squeeze juice from 1 lime and 1/4 teaspoon salt into bell pepper mixture. Serve over rice. Makes 4 servings at about 6 grams of fat/serving. 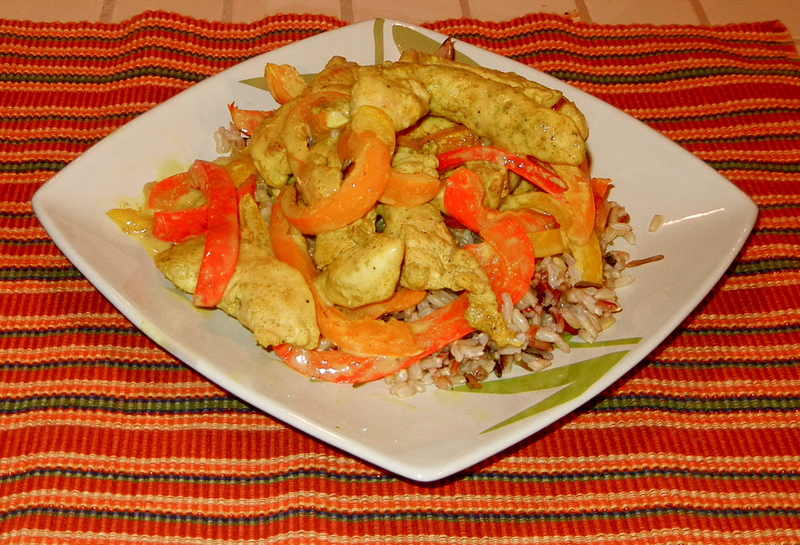 This is one of the photos I had to retake after my camera died, so you are really seeing leftovers over brown rice mix. An empanada is a stuffed bread or pastry eaten in many countries of Latin America and the south of Europe. 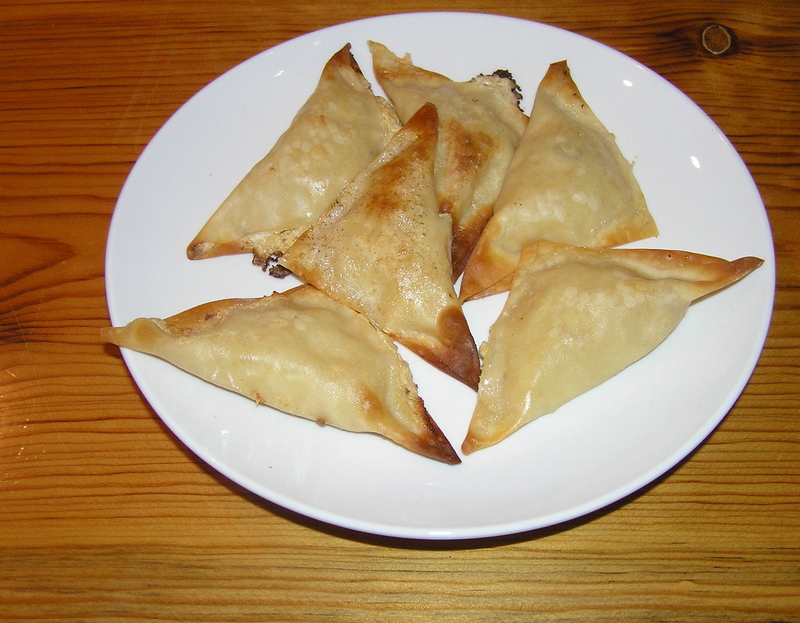 Typically it has a doughy crust (like a pie crust), folded into a half moon shape, and is either fried or baked. I wanted to make a diminutive empanada – an empanadita – a little dumpling that was more finger food than a hand-held snack. I also wanted to eliminate the high fat pie crust-like dough so I that had a low fat, tasty nibble. I decided to use round gyoza wrappers, which can be folded into little half moons. Gyoza are the usually the wrap for Chinese or Japanese pot stickers, so perhaps these are actually Mexican pot stickers. At any rate, the first time I made these I followed a Food Network recipe for the filling, with appropriate fat-reducing changes, such as using fat-free cream cheese and low fat Mexican cheese blend. These first empanaditas were just awful. The filling was dry and flavorless; the gyoza skins were both tough and chewy at the same time. Even the dogs eyed them suspiciously. But they looked good! So I tried again, adding some salsa to the filling to give it a bit of zing, and some non-fat sour cream to make it creamier. I also used wonton wrappers, since I was out of gyoza skins. They were fantastic. And it was not only the filling that was better. The wonton wrappers were crisp and vaguely buttery. And they still looked good. 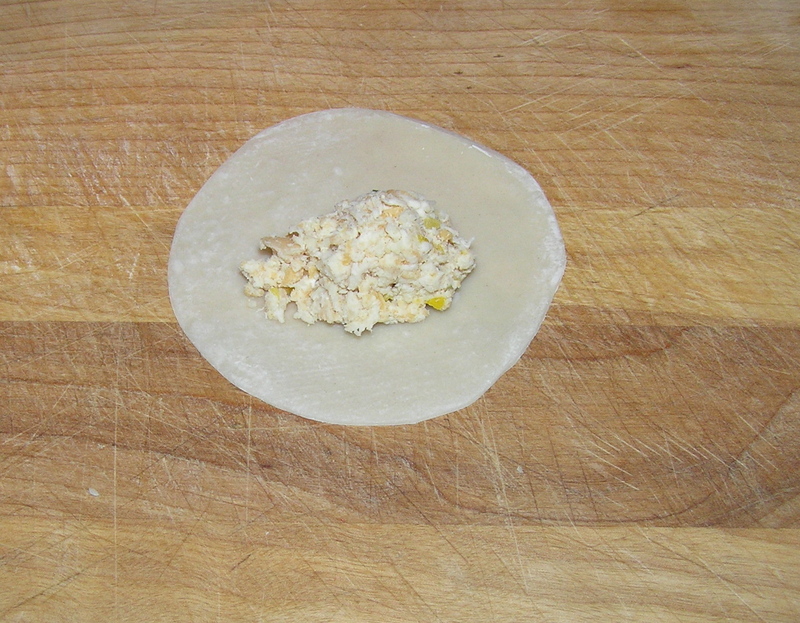 (I have since learned that the dough for the gyoza and wonton wrappers consists of different ingredients; gyoza wrappers are also thicker than wonton wrappers). Now that I have gotten the recipe right, I crave them constantly. Good thing that I froze a bunch. 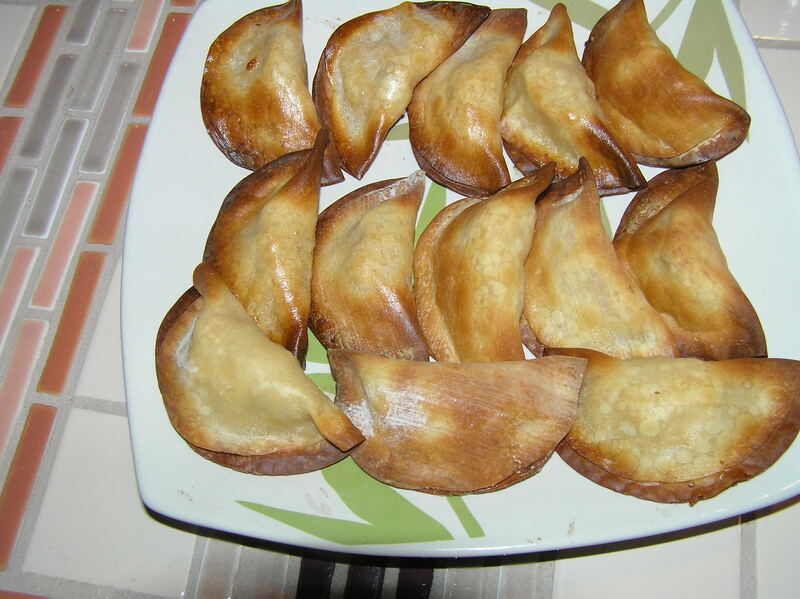 This recipe makes a large number of empanaditas – almost 100. But they are quite freezable before they are baked, although you might have to bake them for a few minutes longer just out of the freezer. And once the filling is made, you can make them assembly line fashion, laying out 3-4 wrappers, dropping the filling in the middle, painting the edges with water and pressing them shut. Brush edges of wrapper with water. Fold in half to make a triangle. 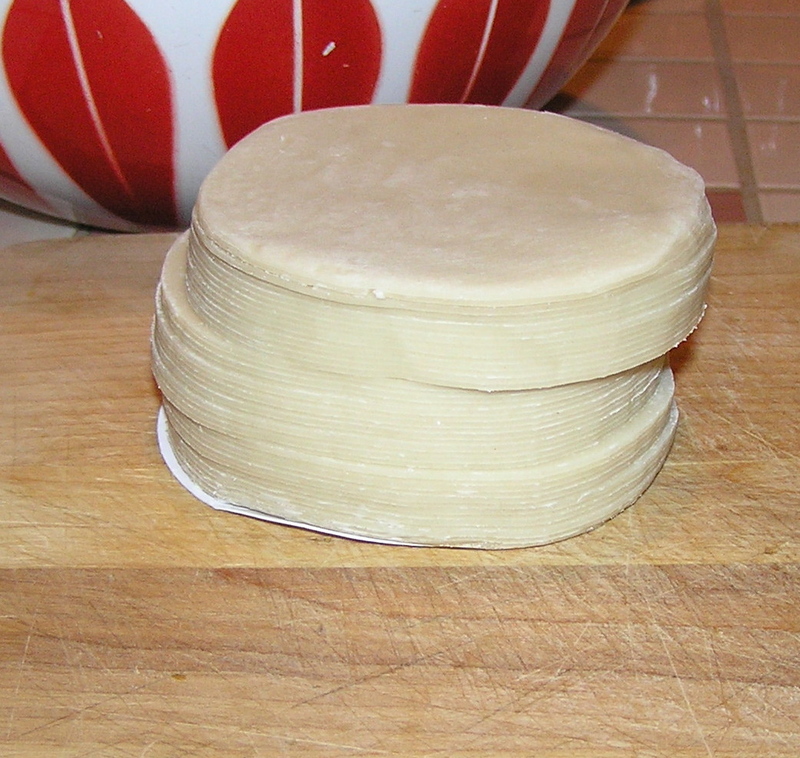 Press edges firmly to seal. Repeat with the remaining wonton wrappers. 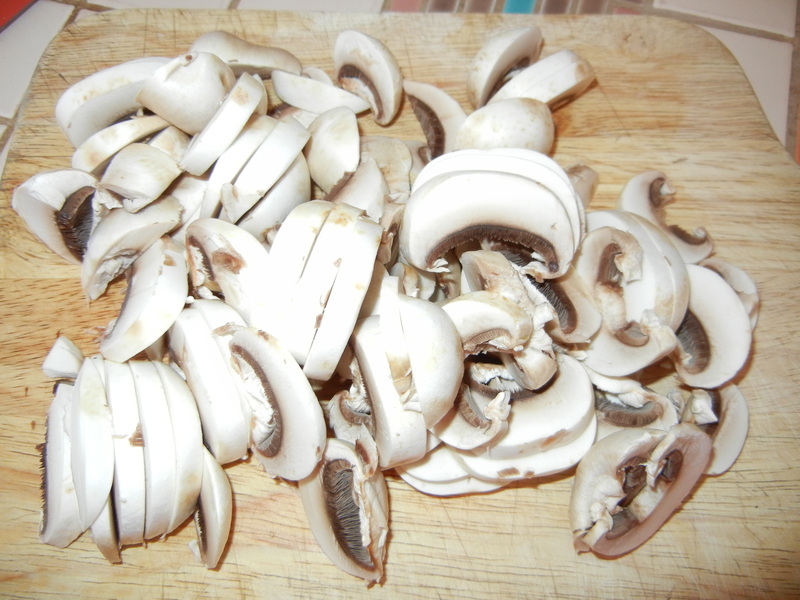 (Up to this point, the recipe can be made ahead and frozen for up to 1 month). I am creeped out by the idea of chicken fingers. I always have this flash of an old hen with bony fingers where the chicken claws should be, the ends of her scrawny talon fingers touched with red polish and pointing accusingly at me. However, chicken fingers are a great favorite with children. So many people say they would lose weight, but their children won’t eat “diet food”. Without getting into a protracted discussion of what diet food is (and why I don’t eat it), I decided to experiment with making child-friendly breaded chicken fingers that didn’t have to be fried. Chicken fingers are not actually fingers, of course. They are a strip of rib meat typically found attached to the underside of the chicken breast, and usually sold separately as chicken tenders. They have virtually no fat, and can be cooked in many ways, from stir fry, to threaded on skewers for satay, or just cooked quickly on the grill. They are the basis for the chicken fingers on so many restaurant children’s menus. These chicken fingers, which originally appeared in Eating Well, are good, but didn’t have quite the crispiness I was craving. The next time chicken tenders are on sale, I’m going to experiment making them with Panko crumbs instead of almond crusting. You can dip the fingers in anything you’d like – low fat ranch dressing, ketchup, or a sweet and sour dip (like I made). Place almonds, flour, paprika, garlic powder, dry mustard, salt and pepper in a food processor and process until the almonds are finely chopped and the paprika is mixed throughout, about 1 minute. With the motor running, drizzle in oil. Process until combined. Transfer the mixture to a shallow dish. Whisk egg whites in a second shallow dish. Add chicken tenders and turn to coat (I did them two at a time). Transfer each tender to the almond mixture, turning to coat evenly. (Discard any remaining egg white and almond mixture.) Place the tenders on the prepared rack and coat them with cooking spray; turn and spray the other side. 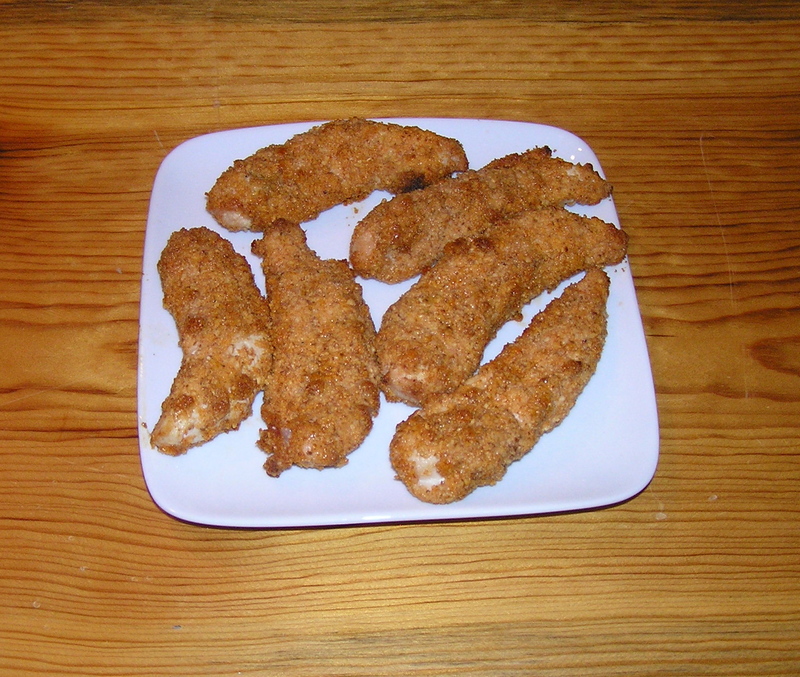 Bake the chicken fingers until golden brown, crispy and no longer pink in the center, 20 to 25 minutes. 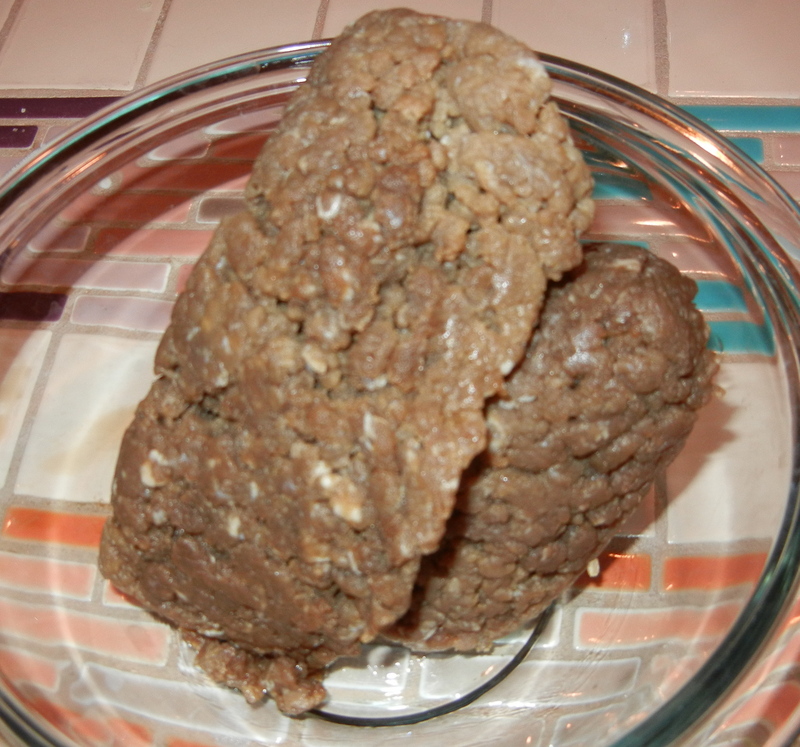 Makes 4 servings at about 4 grams of fat/serving. I received a tagine for Christmas. A tagine is a conical, round earthenware pot with a lid designed to lock in the moisture and flavors of the food, allowing them to be cooked in a small amount of liquid. The food typically cooked in a tagine is also called tagine – which is an aromatic, spicy stew, often containing fruit. The secret of a succulent tagine is to simmer the meat or vegetables in a seasoned, fragrant liquid over a very low heat, so that the food stays moist and tender. Also, the dried fruit is added when the food is almost cooked, so they don’t turn to mush. Originally a Berber dish, tagines have evolved as successive waves of Arabs and Ottomans migrated though North Africa. Traditionally, the earthenware tagine was used over a charcoal fire, which diffused the heat. 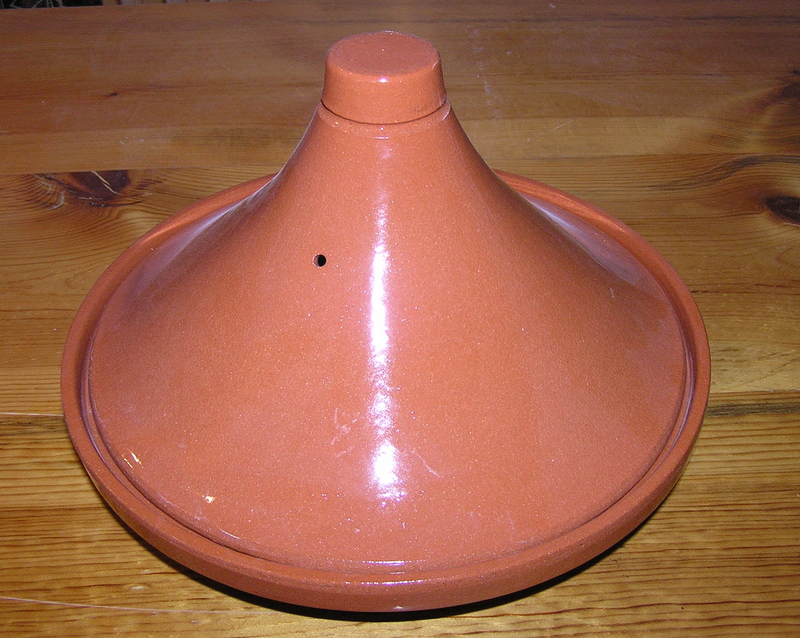 The conical lid has a hole in the top that lets steam escape, If you are cooking a tagine (the food) in a regular casserole or pan, you need to tip the lid occasionally to let the steam escape. 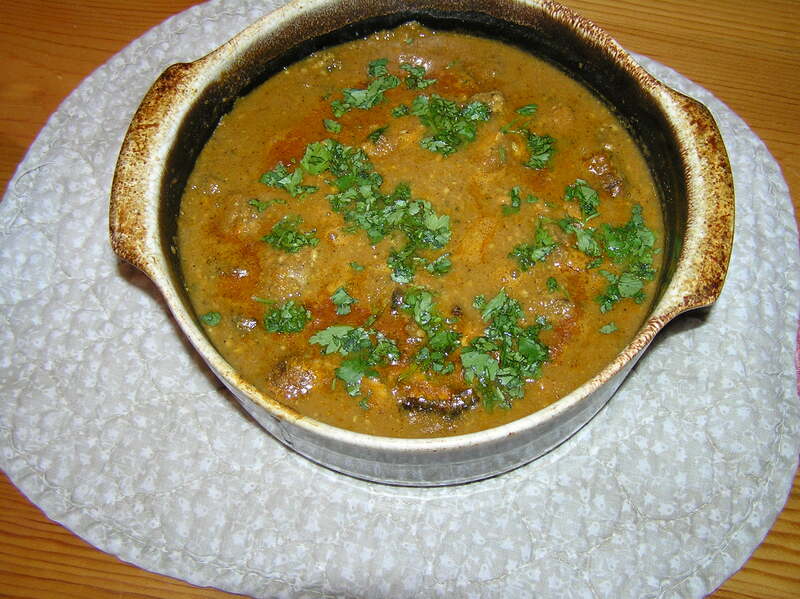 The cookbook that came with my tagine cautions that an earthenware tagine cannot be used on a gas or electric burner, so it is prudent to cook this tasty dish in a conventional casserole, and then if you have guests serve it in the tagine for impact. I think it can be used successfully in an oven, although it seems a bit large for that (It’s also a bit large to store in a closet – it is going to have to be a decorative item between cooking.). 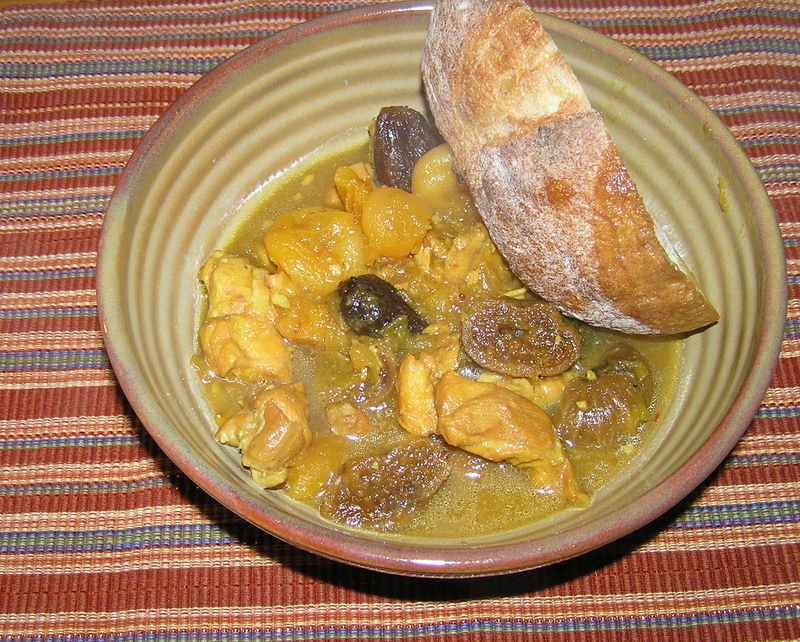 I created this chicken tagine from the assorted dried fruit I had in the house. Chicken thighs are a rich enough meat to stand up to the long simmering in an aromatic liquid. Often, tagines are served on a mound of couscous where the top has been indented and the tagine poured in the center. I ate it with a crusty bread, which is more traditional for an everyday tagine, although I served the very tasty leftovers over rice. This is one of those dishes where I found it convenient to get everything prepared before I actually started the cooking process. 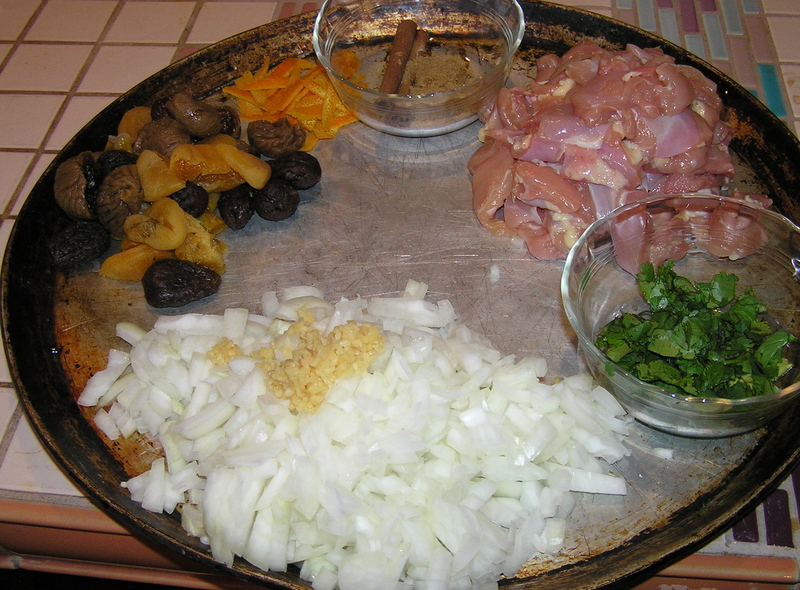 Clockwise from the mountain of onions and garlic at the bottom, there are the soaked, dried fruit; orange zest strips; a little bowl with the ginger, saffron, coriander and cinnamon sticks; the cut up chicken thighs, and a bowl of cilantro. Place figs and apricots in a medium bowl, cover with water and set aside to soak for an hour. Drain figs and apricots, saving soaking water. If the figs and apricots are large, cut them in half. Set aside. 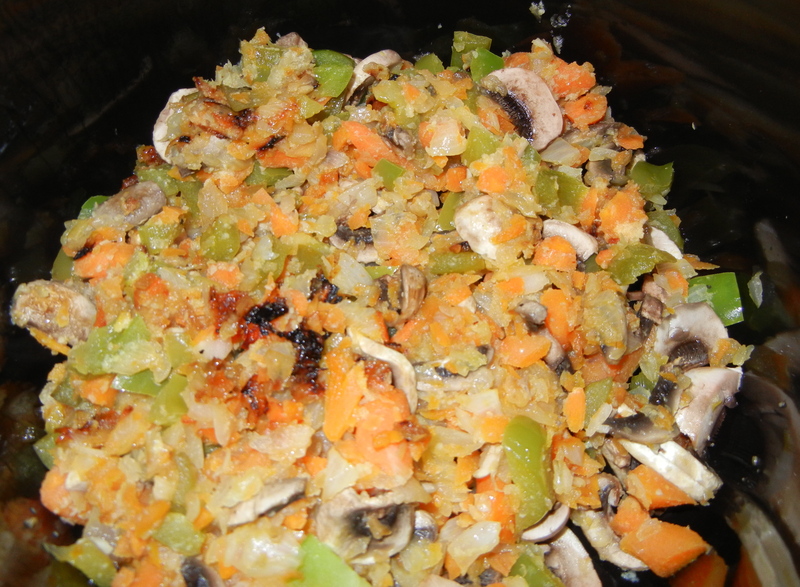 Heat oil in a large heavy-bottomed pan or casserole over medium high heat. 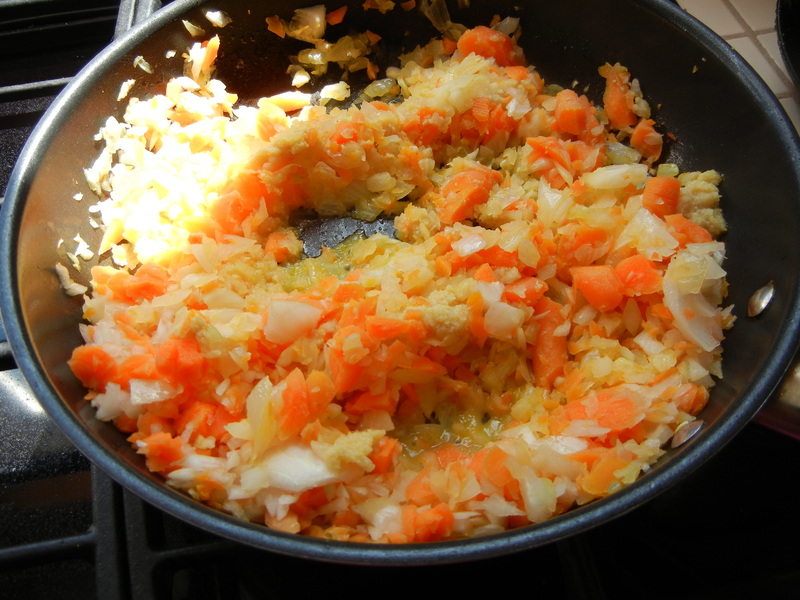 Add onions and garlic, and cook, stirring occasionally until the onions are soft and golden. Add ginger, saffron, cinnamon sticks, and coriander, stirring gently for about a minute. 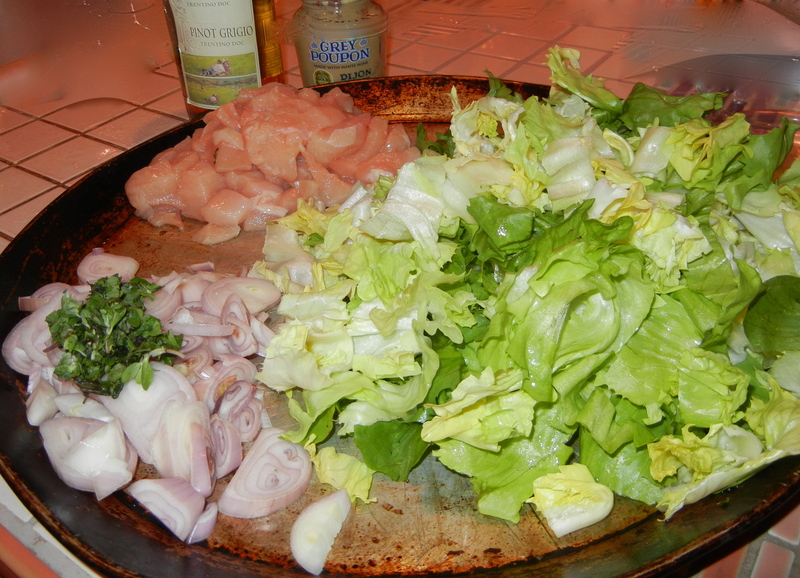 Add chicken and stir until the pieces are thoroughly coated with the onions and spices. Saute for 2 minutes. Pour soaking liquid over chicken. Add additional water if necessary to just cover the chicken. Bring to a boil, cover the pan, reduce heat and simmer for 1 hour, stirring occasionally and lifting the pot lid to let the steam out. Stir in figs, apricots, and orange peel. Cover and simmer for an additional 15 minutes. Stir in honey and season with salt and pepper to taste. Cover and cook for an additional 10 minutes. 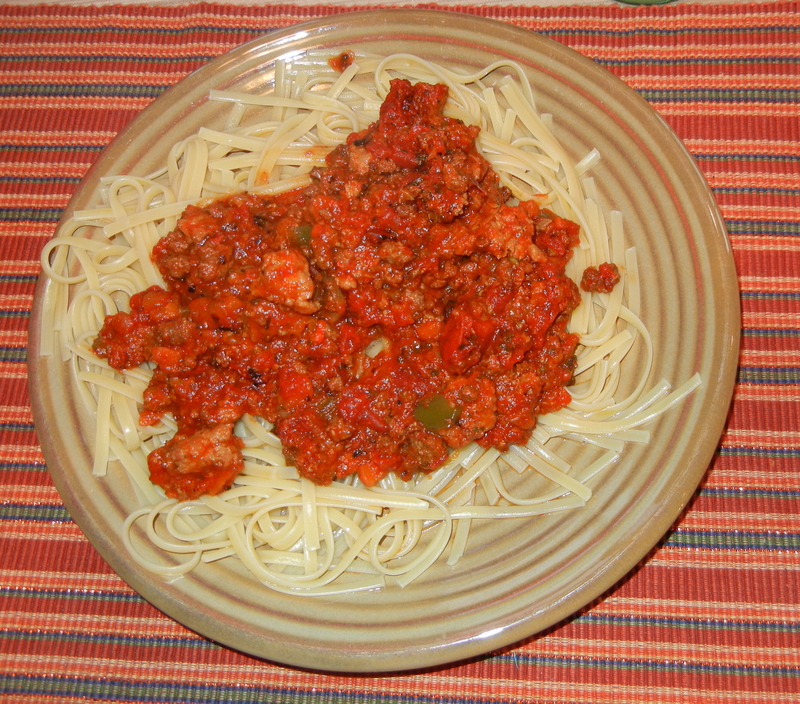 Make sure there is enough liquid in the pot, because the sauce should be syrupy, but not dry. Stir in cilantro. Remove cinnamon sticks if you’d like. Serve immediately (although it was really good reheatd). This makes 6 servings at about 8 grams of fat/serving. Hint: If you are going to use orange peel in your cooking, purchase an organic orange so you don’t get chemicals in your food.